What is Ink Protocol? Low Cap Coin With Potential For Multipliers? Have you heard of Ink Protocol? I hadn't until I was in the QSP telegram group and it was mentioned that Ink Protocol was the latest company to partner with QSP for an audit. As a result, QSP holders would receive an airdrop of XNK. Happy to report I received 470 Ink Protocol - XNK tokens. This got me interested in the project so did some looking at them and was happy with what I saw. So what is Ink Protocol all about? Ink is a decentralized reputation and payment protocol powered by Ethereum. XNK is the currency used in all Ink Protocol transactions which is backed by proof of payment on the blockchain. Ink Protocol is the creation of Listia Inc.
Listia is a P2P marketplace for buying and selling used goods online and was created in 2009. 9 years later it has over 10 million registered users and over 100 million items sold on the platform. Users can earn “Credits” by selling in the marketplace and also other bits like…. Inviting friends to join Lista. Special offers, promotions or goals. This is where I started to get more interested in the token XNK. 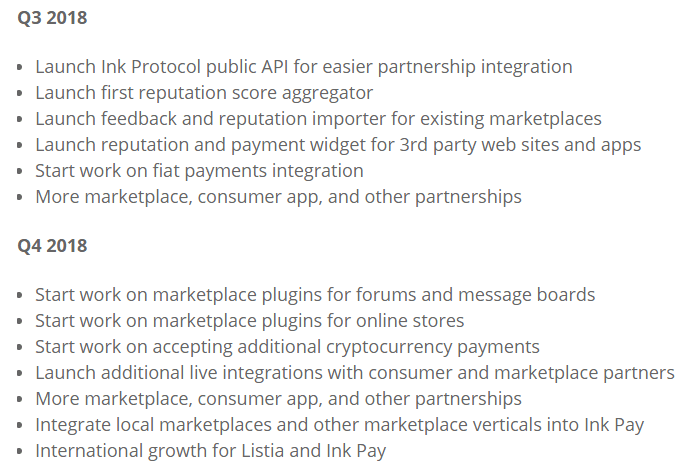 In February this year Ink Protocol fully integrated on the Listia platform replacing the Listia credit tokens. Now everyone on Listia is using the XNK token. This is awesome and another step to crypto mass adoption. Ink Protocol is looking to be a one-stop shop for all P2P transactions, and also independent of any marketplace. As this is on the blockchain people selling items can move from one platform to another but still able to bring their reputation and selling score with them. Anyone buying from a seller can view their reputation from all platforms combined. Payments can be made with XNK or converted to and from fiat currencies. Personally, I think this has the potential do very well in the long term. 10 Million users on the Listia platform. Under the radar at the minute. The Ink Pay App will be available windows, iOS & Android. The team behind XNK are mainly from Listia and also have some good advisors on board with QSP and Richard Ma. Thank you for reading and as always if you have any questions then leave them below. It should be in the long run instead of in the long term.